Cross-linked polyethylene (most commonly referred to as PEX, but also abbreviated XPE or XLPE) piping is an increasingly popular substitute for polyvinyl chloride (PVC) and chlorinated polyvinyl chloride (CPVC) piping in newer construction homes in Alabama. Most of its popularity stems from PEX’s ease of installation, use, and fewer fittings. This ease of use allows for quicker installation compared to PVC or copper plumbing systems. Originally invented in the 1950s, PEX’s design was improved by Thomas Engel and Dow Corning in the ‘60s and marketed to all of Europe as an easy substitute for copper in the plumbing and heating industries. Two decades later, PEX was brought into the United States for radiant heating systems, but it was not until recently that the heating and plumbing industries started installing PEX products for potable water. Farris, Riley & Pitt, LLP is currently working on PEX plumbing lawsuits with clients who have experienced massive damages in homes less than 10 years old. You may have a legal claim if you or a loved one has a newly constructed home where PEX materials were used for installing the heating and plumbing systems. Please give our Birmingham PEX piping lawsuit attorneys a call to discuss your options. Call (205) 324-1212 to schedule a free consultation. Recent lawsuits have shed light on the failures of PEX plumbing systems, showing they aren’t as good of a substitute as originally assumed. Failures in the PEX plumbing systems have been seen in the fittings and piping. Most notable issues occur when the PEX plumbing fittings fail leaks, causing massive damage. In addition to the products’ design failures, the product becomes vulnerable when exposed to certain solutions, including petroleum products and oxygen, causing toxic chemicals to seep from the PEX material. Tap water contains small amounts of chlorine because most of our tap water comes from water treatment facilities. Oxidation can occur once the chlorine passes through the PEX piping, causing the piping material to degrade. To combat the effects of degradation due to chemicals, manufacturers added antioxidants to the piping material. However, the chemicals have the same effect on the antioxidants and over time the antioxidants degrade, allowing the chemicals to degrade the PEX materials. The level of degradation in the piping material depends solely on the level of chemicals in the water. Similarly, when PEX piping is used underground, the piping can come into contact with tap water as well as ground water. In certain areas where ground water is contaminated with pesticides or petroleum products, these chemicals can seep through the piping and into the tap water, causing contamination in the tap water. These failures are surfacing in great numbers as newly constructed homes are suffering severe damages as a result of PEX plumbing systems. As the number of failures rise, so is the number of lawsuits being filed by plaintiffs who have suffered massive damage in their new homes. Why Do I Need a Pex Piping Lawyer? When issues with PEX piping in your home lead to costly payments that your insurance provider refuses to pay for, it can lead to frustration. You may worry that you will not be able to prove that PEX piping issues caused the damage. You could be entitled to compensation for plumbing repair costs caused by PEX piping issues. An attorney from Farris, Riley & Pitt, LLP can work with you to determine the best possible path forward to pursue this compensation through a legal claim. After paying for expensive home repairs, legal fees may be the last thing on your mind. Do not let these types of concerns prevent you from contacting Farris, Riley & Pitt, LLP, because we provide legal representation on a contingency fee basis, meaning you pay nothing unless you receive a monetary award. The victims we represent are not just clients, but are frequently friends and neighbors. Farris, Riley & Pitt, LLP fights to protect the rights of all Alabama residents injured by the negligence of other parties. For more than 20 years, we have been serving the Alabama community. Kirby Farris and Ken Riley were both born and raised in Alabama, and both law partners and their families now reside in Birmingham. Mr. Farris and Mr. Riley are both admitted to the United States District Court for the Northern District of Alabama, United States District Court for the Middle District of Alabama, and United States District Court for the Southern District of Alabama as well as the Alabama Supreme Court. Mr. Farris is also admitted to United States District Courts for the Eastern District of Arkansas, Western District of Arkansas, District of Colorado, and Western District of Tennessee. Mr. Farris and Mr. Riley are both members of the Birmingham Bar Association, American Bar Association, and Alabama Bar Association. Our attorneys have secured numerous multimillion dollar verdicts and settlements for our clients. PEX plumbing pipe is accepted by all major plumbing and building codes in the United States and is most commonly used for water supply lines, potable distribution systems, plumbing, floor heating and cooling, and residential fire-sprinkler systems. PEX cannot be installed in any location involving direct or indirect exposure to ultraviolet (UV) light or contact with flame or extreme heat. Water from water treatment facilities is often transferred with a small level of chlorine in it to disinfect the supply. Even small amounts of chlorine can cause oxidation on the inner wall of PEX piping. PEX manufacturers have added antioxidants to the piping in order to have chlorine degrade the antioxidants first, but that is only a temporary solution. Dezincification of fittings is another problem associated with PEX piping. Fittings are made of brass, which is made up of many materials. One of them is zinc, which can dissolve over time, weakening the remaining structure. Dezincification is one of the most common causes of leaking PEX connections. Other causes are improperly calibrated tools, push-fit fittings in systems with glycol, and installers failing to fully inserting pipes into fittings. Numerous consumers have experienced problems with PEX tubing, fittings, and clamps. In July 2017, ABC 33/40 in Birmingham reported that a Shelby County woman has accumulated 13 repair bills totaling $4,900 because of water leaks involving NIBCO pipes. A plumber told the woman it would cost $8,000-$10,000 to re-pipe the entire home to stop the leaks. The house was only seven years old. In Florida, WFTV Channel 9 in Orlando reported that an Orange County man said his insurer canceled his policy just a month after he installed PEX plumbing. According to WFTV, multiple insurance companies were denying coverage or increasing premiums to cover PEX homes. The station reported that even those who paid extra may not be covered. In 2009, the Las Vegas Sun reported that Kitec Plumbing maker IPEX agreed to pay $90 million to settle a plumbing defect lawsuit. While the settlement would cover a portion of the cost to repipe about 30,000 homes, some home builders remaining in the suit objected to the settlement because they claimed IPEX should pay more for designing and manufacturing the fittings. The case continued with about 25 home builders and six plumbing companies remaining as defendants, but IPEX’s portion represented roughly 25 to 33 percent of the total cost of replacing plumbing fixtures. The agreement approved by District Court Judge Timothy Williams removed IPEX from the class action suit and protected the company and its subsidiaries from future lawsuits. What’s the difference between PEX, PVC, and CPVC? CPVC and PVC are made of the same basic elements, but CPVC is altered by a free radical chlorination reaction that increases its chlorine content and allows it to withstand a wider range of temperatures. PEX piping was not listed in a 2017 technical note issued by the Plastic Pipe Institute (PPI) as being able to perform under temperature ratings of 180°F and pressure ratings of 100psi in the presence of chlorinated water. Is PEX suitable for aboveground outdoor applications? No. PEX will become brittle if exposed to sunlight for too long. The typical exposure limit is about 30 days. PEX also is not rated by manufacturers for exterior exposure. PEX piping should generally be shielded from any kind of UV exposure. According to the PPFA, PEX is manufactured and tested according to four national consensus standards: ASTM F876, Standard Specification for Crosslinked Polyethylene (PEX) Tubing; ATSM F877, Standard Specification for Crosslinked Polyethylene (PEX) Hot- and Cold-Water Distribution Systems; AWWA C904, Cross-Linked Polyethylene (PEX) Pressure Pipe, 1/2 In. (12 mm) through 3 In. (76 mm), for Water Service; and CSA B137.5, Cross-Linked Polyethylene (PEX) Tubing Systems for Pressure Applications. ASTM International is an international standards organization that predates other standards organizations, the American Water Works Association (AWWA) is an international nonprofit association founded to improve water quality and supply, and the CSA Group is a Canadian standards organization comprised of representatives from industry, government, and consumer groups. Recently, the Insurance Institute for Business & Home Safety (IBHS), an independent research organization, conducted a nationwide review of homeowners insurance claims involving plumbing supply system failures. It found that plumbing supply system failures cost an average of $5,092 per incident after deductibles were paid. Of the claims reviewed, 65 percent were caused by failure of plumbing supply system material. IBHS found that total water loss claims attributed to supply system material failure were twice as high in the South Region than the North Region. The review also found that 37 percent of drain system failures were related to material performance issues such as corrosion of drain system piping and leaks or loosened connections. According to IBHS, the average cost of a drain system failure was approximately $4,400 per incident after deductibles were paid, with average failures being 61 percent more costly in South Region states ($6,143) than in North Region states ($3,812). Farris, Riley & Pitt, LLP is committed to helping people whose homes have been damaged by PEX piping issues. Our firm has recovered millions of dollars for our clients. We work to make sure that liable parties are held accountable. Have you had any kind of issues related to PEX piping in your home in Alabama? 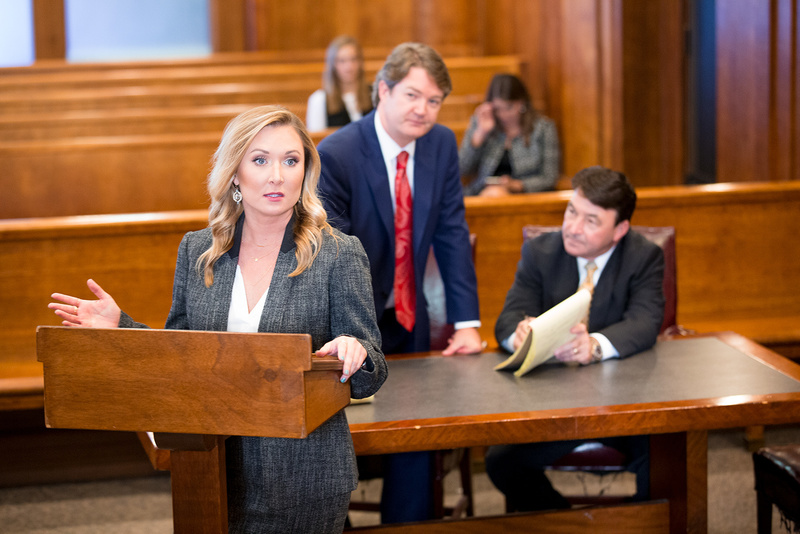 You should call (205) 324-1212 or contact us online to have Farris, Riley & Pitt, LLP provide a complete evaluation of your case during a free consultation.